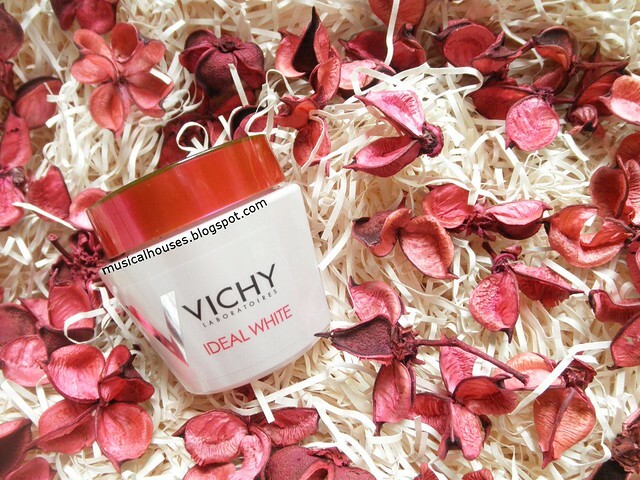 Vichy's Ideal White Mela Whitening Sleeping Mask is the latest addition to Vichy's Ideal White range, which is a whitening range for Asian skin, and also one that's exclusive to Asia. 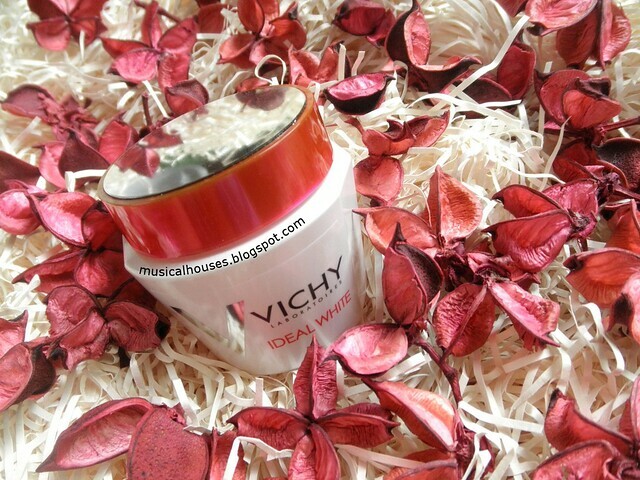 Vichy's Ideal White range already has an Essence and an Emulsion, which I've reviewed before, as well as an eye cream, sunscreen, spot treatment products, among others, so I guess the Sleeping Mask was the next step. 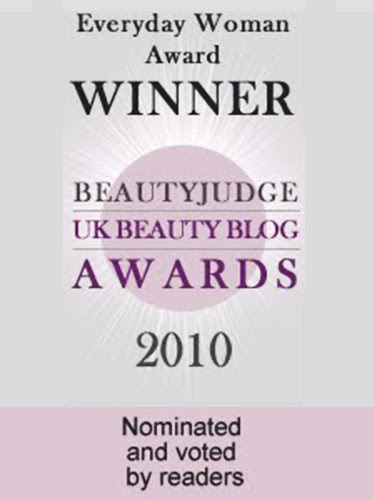 I've actually reviewed the Ideal White Range Essence and Emulsion, and I did find that they had some pretty unique whitening ingredients, primarily a combination of Ellagic Acid, Resourcinol and Adenosine, which you don't often find in typical drugstore whitening lines. So I was excited to see what the new Ideal White Sleeping Mask had inside! So, without further ado, let's take a look at what's inside the Ideal White Sleeping Mask! The main ingredients in the Sleeping Mask are water, humectants (Glycerin, Dipropylene Glycol, Butylene Glycol, PEG/PPG/Polybutylene Glycol-8/5/3 Glycerin), and Alcohol Denat., which is here to enhance the penetration of the other ingredients, although it can be drying or sensitizing for more delicate skin types. We also have Niacinamide, which here functions as one of the whitening ingredients (although it also has some useful anti-ageing properties), and it's nice to see the Niacinamide here in pretty large quantities. After that, we have emollients (Dimethicone), emulsifiers (PEG-8, PPG-26-Buteth-26, PPG 26 Buteth 26), thickeners (Zea Mays Starch). Some of these have dual function - for example PEG/PPG/Polybutylene Glycol-8/5/3 Glycerin, PPG-26-Buteth-26 and PPG 26 Buteth 26 all have emollient properties in addition to being humectants and emulsifiers respectively. After that, the rest of the ingredients are primarily functional ones, like colourants (Red 4, Red 33), which give the product its pink tint, thickeners (Carbomer, Ammonium Polyacryldimethyltauramide/Ammonium Polyacryloyldimethyl Taurate, Microcrystalline Cellulose), emollients (Dimethiconol, Caprylyl Glycol), absorbents (Sodium Acrylates Crosspolymer-2, Silica), preservatives (Phenoxyethanol), chelating agents (Tetrasodium EDTA), humectants (Mannitol), pH adjusters (Citric Acid), film formers (Polymethyl Methacrylate). In terms of skincare ingredients, we also have two of the three Ideal White ingredient highlights, Phenylethyl Resorcinol and Adenosine, which I've gone into quite a bit of detail for in my previous Ideal White review, but basically, these are whitening ingredients. There's also Caffeine, which is often included in slimming products, and can have anti-oxidant properties, and is also found in the other Ideal White products. Then there's also Vitamin E, or Tocopheryl Acetate, which has anti-oxidant properties, and Capryloyl Salicylic Acid, which is a form of salicylic acid that has skin conditioning as well as exfoliating and anti-inflammatory properties. 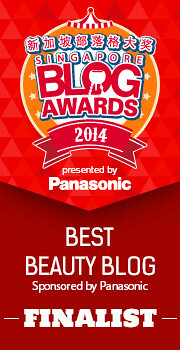 Capryloyl Salicylic Acid is found mostly in L'Oreal brand products, including the other Ideal White products. 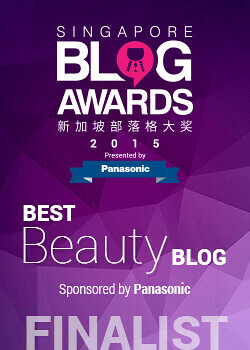 So, looking at the entire formula, we can see that there are definitely some of the key Ideal White ingredients, namely the Phenylethyl Resorcinol and Adenosine, which can help to brighten skin. What's new in the Sleeping Mask is also the addition of Niacinamide as an extra whitening ingredient, and the Niacinamide appears to be in fairly high amounts too, so that's a plus. The rest of the formula primarily imparts humectant and emollient benefits you'd find in a sleeping mask, so this is a product with both moisturizing and whitening benefits. So, now that we've looked at the formula behind the Ideal White Mela Whitening Sleeping Mask, how does it fare on skin? 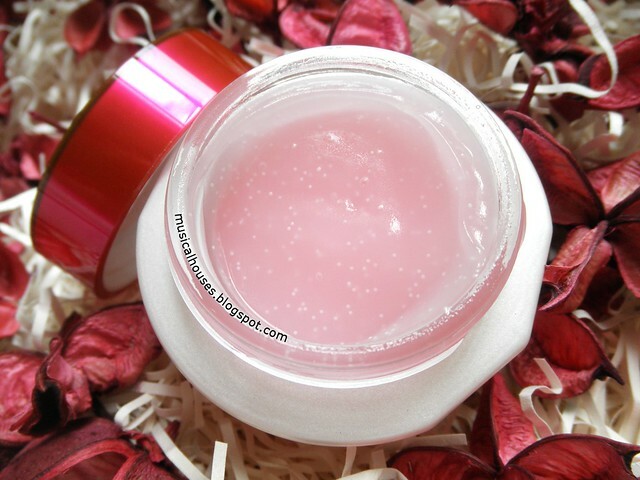 The Ideal White Sleeping Mask is a light pink gel, with little white spheres inside. The spheres kind of disappear when the gel is rubbed into the skin, and I don't really feel them on my skin at all. There's also a pretty strong floral scent that's probably best described as perfume-y. The gel itself feels lightweight and sinks into skin very fast, thanks to the Alcohol, but it didn't feel drying on my skin, and it didn't trigger any sensitivity. For ladies who like a very lightweight sleeping mask, and don't want a mask that gets all over their pillowcase, then this is a pretty good one to consider. Although this is sold as a Sleeping Mask and is meant for night use, I personally also think it's perfectly fine for use as a day moisturizer as well. Its lightweight texture, and the fact that it doesn't leave much residue or film on the skin, means that it actually would be a pretty nice option for ladies who want a day moisturizer that isn't heavy or oily. I also don't see any ingredients that confine it only to night use - there isn't any retinol or acids that would make your skin more photosensitive - so as far as I'm concerned, if you want to use this during the day, go ahead! 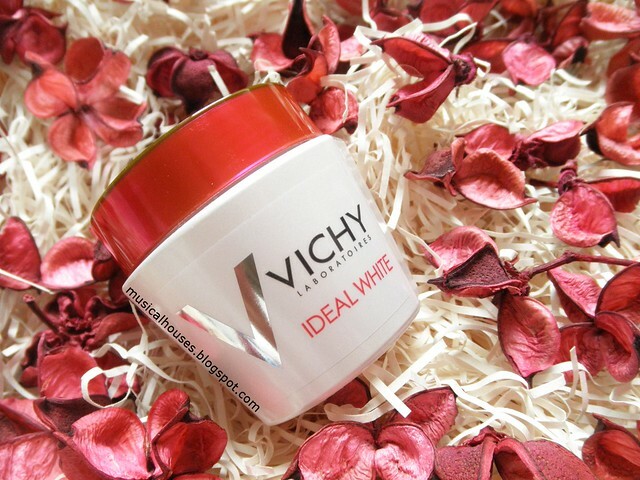 So, would I recommend the Vichy Ideal White Mela Whitening Sleeping Mask? Considering the alcohol content in the product, I think that people who are looking for a very emollient moisturizing product, or people who would like to avoid alcohol in their skincare might not be too keen on this product. But for people who don't have such concerns, and who want a lightweight, easily absorbed whitening product, then this is worth considering. 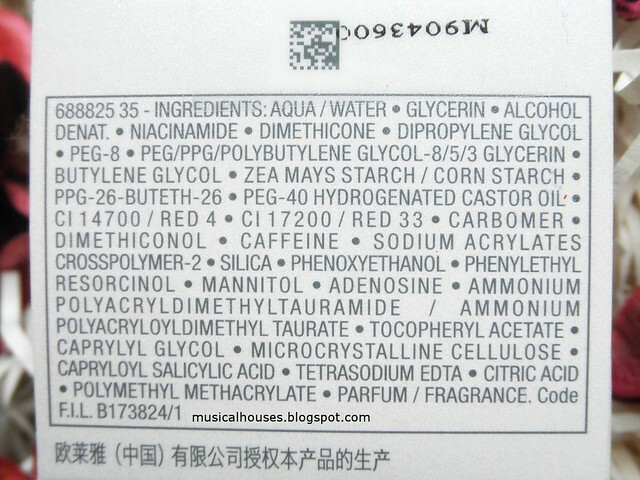 Although I'm not a fan of the scent or alcohol content, I like the inclusion of Niacinamide, the presence of Phenylethyl Resorcinol and Adenosine, both of which aren't very commonly found in drugstore brand products, and the inclusion of some interesting ingredients like Capryloyl Salicylic Acid. At $59, it isn't the cheapest drugstore product there, but it has a slightly different lineup of ingredients from the average drugstore sleeping mask, so if that's what you're interested in, it could be worth trying out. 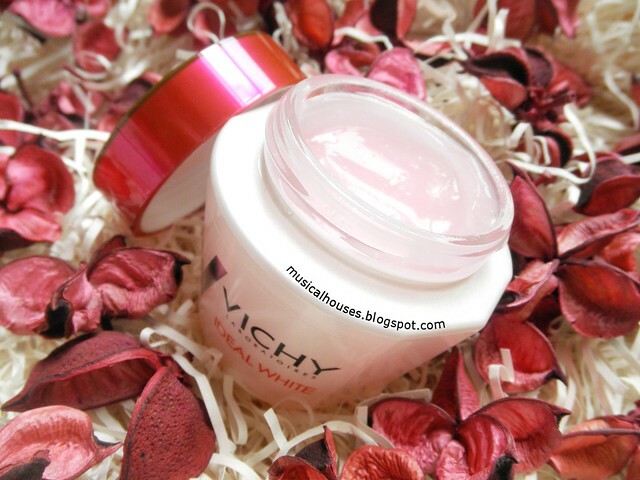 The Bottom Line: Vichy's Ideal White Sleeping Mask includes Phenylethyl Resorcinol and Adenosine, as well as Niacinamide, as the primary whitening ingredients, in a lightweight, easily-absorbed gel. hmmmm....interesting. 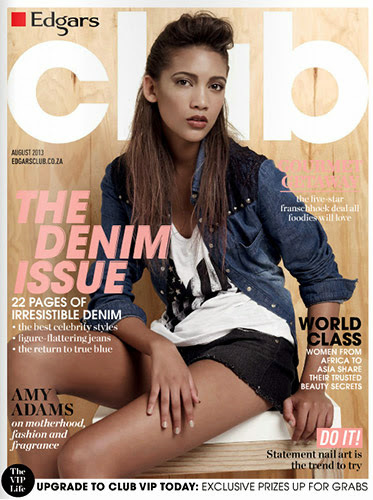 I am just kinda hesitant because of its price. But it seems like a worth it product. can i use vichy spot intervention under this mask. i am suffering from melasma. can i use ths as a face mask daily at night?